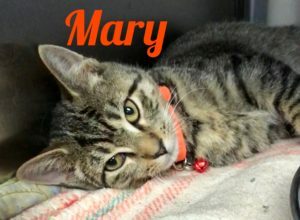 Sweet Mary, a beautiful tabby girl, was born on 7/17/18. She was found with her sister Tallulah in Brentwood. Mary is now ready for her special person. Come meet this darling cat and fall in love.